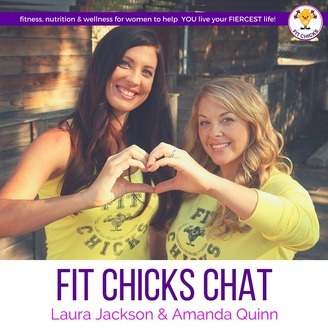 Laura Jackson & Amanda Quinn are founders of FIT CHICKS® & FIT CHICKS® Academy - Canada’s largest women’s only fitness company, leading Fitness & Nutrition Experts and TV Hosts of “Shape Up with FIT CHICKS”. 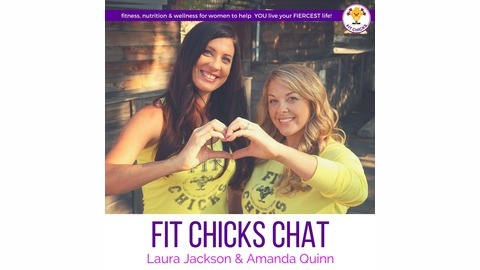 Each week on FIT CHICKS Chat, Laura & Amanda get you PUMPED to create your FIERCEST life – inside & out. Whether your goal is to lose weight, get toned, eat healthier, stress less, feel inspired or just have some healthy cheerleaders in your corner, each episode is packed with their own tested, ACTIONABLE fitness, nutrition and wellness strategies to get you there! Why? Because after helping 1000’s of women of all levels transform their bodies and minds, Laura & Amanda figured out what they really love: helping women like YOU reach your goals by breaking down the BIG, confusing info about fitness, nutrition & wellness into easy step-by-step actions…so you can see BIG, life changing results, fast – no matter where you are in your fitness and life journey! For informational purposes only. Please consult a physician before starting an eating or exercise program.